Demonstrate ability to set communication goals and adjust and apply appropriate communication methods across settings, purposes, and audiences. Produce work in oral, written, or visual communication that explains complex scientific material in terms appropriate to various audiences. Express an understanding of and show proficiency in key communication skills including listening, storytelling, language usage, and nonverbal communication. Demonstrate proficiency in connecting and responding to diverse audiences. Demonstrate confidence in speaking spontaneously about their work and interpreting scientific and technical information for various audiences. Show the ability to think critically and provide constructive feedback. Demonstrate understanding of the importance and impact of good scientific communication to society. Understand and apply fundamental research on science communication. 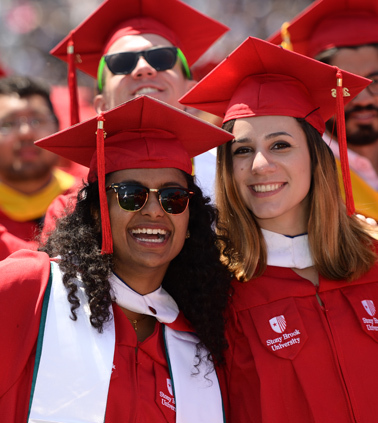 The Graduate Certificate in Communicating Science supports Stony Brook University’s broader mission to provide comprehensive graduate education and research opportunities of the highest international quality by bringing a unique, value added educational opportunity to Stony Brook’s graduate students. Research itself depends on effective communication; this certificate is rooted in the internationally recognized work of the Alan Alda Center for Communicating Science, that aims to help scientists communicate their research more vividly and effectively to ensure greater societal benefits. The certificate supports Stony Brook’s commitment to advancing research endeavors of the highest international standards to advance knowledge and create long-range practical significance. The Center has received international recognition for its pioneering approach to improving the communication skills of our scientists. Helping scientists, engineers, and medical professionals to communicate more effectively enables the University to provide greater leadership for economic growth, technology and culture for communities on and beyond Long Island, reflecting Stony Brook’s commitment to supporting local and wider geographic regions. 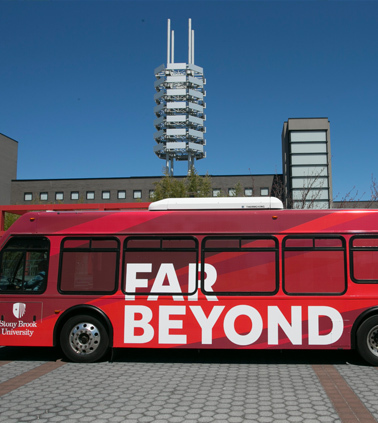 Through its emphasis on communicating with diverse audiences, this certificate aligns with the university’s commitment to celebrating diversity and positioning the university in the broader global community. Graduate students and professional scientists who complete the certificate will be better able to communicate with employers, government officials, and funding agencies. Moreover, this certificate program will also bring our scientists into local schools and other public venues, providing access to real science for children who might not otherwise have such experiences, helping to improve state readiness for STEM occupations by increasing the STEM pipeline. The Alda Center curriculum has had a demonstrated impact on improving the outreach and communication skills for Stony Brook’s international students, helping improve their teaching skills and fostering their integration into the local community. For admission, an applicant is required to have an undergraduate or graduate degree in a STEM discipline or STEM related field, or be currently enrolled in a STEM or STEM related graduate program, or be working or have a history of having worked as a scientist. The applicant must have had an undergraduate GPA of 3.0 or higher. A committee consisting of the Certificate director and two program faculty will evaluate all applications, including exceptions to the requirements. In considering applicants with GPAs below 3.0, the committee will consider extenuating circumstances, the trend of students’ GPAs, and their life experiences, as well as the diversity of the student body. In considering applicants who fall short of the required science background, the committee will consider demonstrated commitment to the field of science communication and experience or education in related fields. 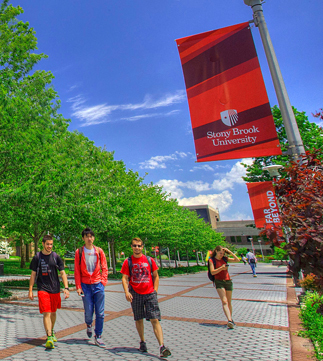 Stony Brook University has a long-standing and strong commitment to recruiting and mentoring students from underrepresented groups, particularly in graduate education in STEM disciplines. 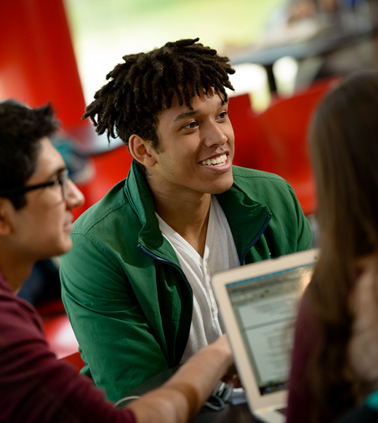 For graduate students from underrepresented groups already in residence at Stony Brook, the Center for Inclusive Education (CIE) offers a vibrant program of social and professional networking fostering development of professional skills necessary for students in STEM disciplines to be successful in their careers once they graduate. Chief among these are “Research Cafes” that provide opportunities for students to present their research to diverse audiences. It is anticipated that the Graduate Certificate in Communicating Science will offer further training and credentials to Stony Brook graduate students interested in furthering their communication skills. The certificate Director will meet with new students upon enrollment to help them chart a path for the successful completion of their certifications during the duration of their graduate studies. Program faculty and the certificate director will have regular contact with students. Given that participants will come from master’s and PhD programs, faculty will help students align their certificate coursework to complement requirements in their home disciplines. Faculty affiliated with the certificate will provide ongoing, additional mentorship. 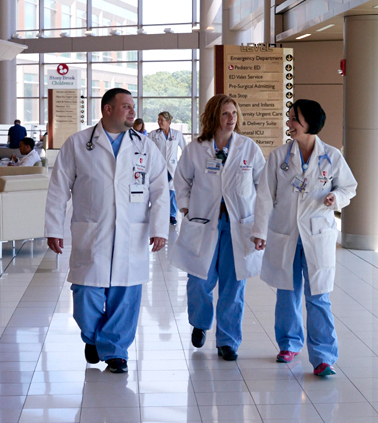 Our website provides a comprehensive overview of our faculty expertise and contact information. In addition, required coursework is taught by our faculty, enabling students to have ongoing contact. A core mentor will be identified for each student, and every semester, mentors will meet with their student mentees to discuss their progress and research. Mentors will be asked to submit an annual report on all of their certificate mentees to the Certificate program faculty. The faculty will annually review the progress of all students and the certificate director will contact students whose progress is delayed to discuss plans for timely completion. NOTE: Students may enroll in JRN 565 Communicating Your Science, a 3-credit course, in place of JRN 501, 503 and 514. Students must choose from and complete at least 2 credits from the following courses. Additional Coursework from this list may serve as elective coursework as listed below. The Certificate committee, which consists of the Certificate director and two program faculty, will identify other relevant courses and formally review them to determine if they are appropriate for the Certificate. Current course offerings and descriptions can be found online here. The Alan Alda Center for Communicating Science has access to classrooms, libraries and TV studios at Stony Brook University which will be used for instructional purposes. 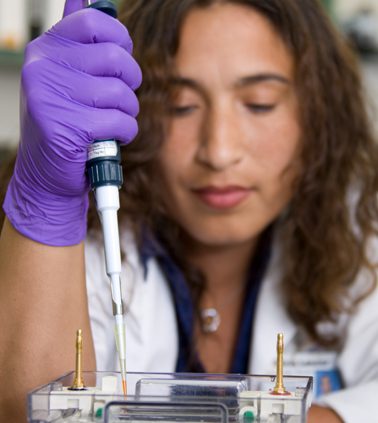 The Advanced Graduate Certificate in Communicating Science fosters clear, vivid communication in the areas of science, engineering, and health. Participants learn to integrate scientific knowledge, creativity, ethical practice, and verbal and non-verbal communication skills. The program teaches participants to communicate more effectively about science with the general public, policy makers, the media, students, potential employers or funders and prospective collaborators in their own and other disciplines, while providing background grounding in the field of science communication. Participants learn and develop dynamic ways to connect with, and respond to, diverse audiences. Students learn fundamental skills, including understanding and connecting with audiences, setting focused communication goals, and speaking clearly and conversationally about their work and why it matters. Students develop a fundamental understanding of research on science communication and apply this to practice identifying main points, speaking without jargon, explaining meaning and context, responding to questions, using storytelling techniques, and using multimedia elements. Participants learn to examine critically the presentation of scientific information to society, including analyzing challenges and opportunities for science outreach and communication.